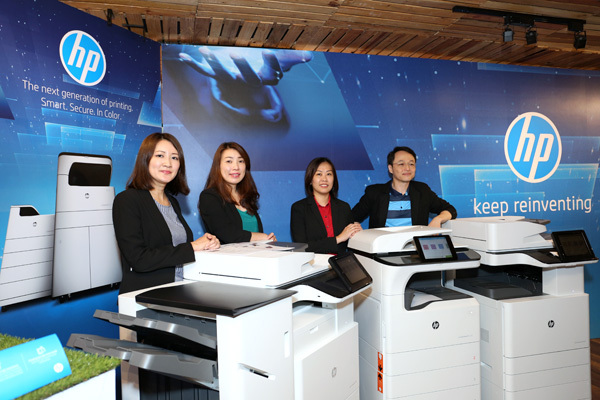 Kuala Lumpur (11 August 2017) — HP Malaysia today announced a robust line-up of next-generation A3 multifunction printers (MFPs) in Southeast Asia. The 54 new SKUs include enterprise-class A3 MFPs that are designed to protect themselves in the face of growing cyber-attacks on businesses. HP launched new A3 MFPs that will transform today’s copier experience by offering advanced security features, affordable color and longer device uptime with HP’s Smart Device Services technology. HP launched The Wolf : Season 2 in a continued effort to grow awareness about the security risks of poorly secured printers and PCs. According to the IDC IT Security MatureScape report 2017, 95.6% of organizations in ASEAN are operating with less-than-ideal IT security practices in place. “We are living in a new world order with connected devices and evolving attacks that often hit us when we least expect them. 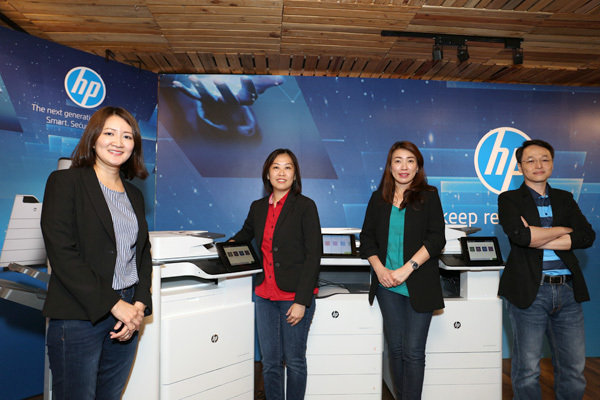 By integrating security in every stage of product development, we are reinventing security from protection to resilience, delivering highly secure A3 MFPs in the market and making life better, safer for our wide range of customers in Malaysia,” said Kym Lim, Managing Director, HP Malaysia. The new A3 portfolio transforms today’s copier experience for customers and service professionals by offering advanced security features unmatched in the marketplace, affordable color via HP’s PageWide printing technology, and longer device uptime via HP’s Smart Device Services technology. With HP Sure Start, whitelisting and run-time intrusion detection, HP enterprise-class MFPs are embedded with key security features that automatically trigger a reboot in the event of an attack of anomaly. When an attack targets the BIOs, firmware or run-time memory, HP enterprise-class MFPs can generate alerts in syslog format and notify IT managers via Security Information and Event Management (SIEM) tools. Besides incorporating new Security features, HP has also launched The Wolf: Season 2 as part of its global initiatvies to elevate awareness of the security risks facing businesses and consumers. Making its debut in Cannes this year, HP Studios’ The Wolf: Season 2 builds on the dramatic first season starring award-winning actor Christian Slater as a fictional hacker targeting the healthcare industry’s highly sensitive data records. Find out more from the online press kit. HP’s portfolio of A3 MFPs – including three PageWide platforms and thirteen LaserJet platforms – benefit from the new, cloud-based proprietary service optimization platform, HP Smart Device Services (SDS). SDS delivers maximum device uptime by integrating advanced diagnostics, device specific troubleshooting and remote remediation capabilities into the industry leading MPS tool sets resellers use today. The HP PageWide Pro devices make color printing more affordable, while simultaneously providing best-in-class print speeds. The single and multifunction devices have print speeds ranging from 35 ppm to 60 ppm (up to 80 ppm in General Office mode). PageWide technology is also more sustainable – consuming up to one-seventh the energy of competing color laser machines in the same class while producing significantly less packaging waste associated with supplies and long life consumables. HP’s A3 MFPs are available through qualified channel partners, or directly through HP Malaysia. More information can be found hp.com.my/A3. HP Malaysia creates technology that makes life better for everyone, everywhere. Through our portfolio of printers, PCs, mobile devices, solutions, and services, we engineer experiences that amaze. More information about HP Malaysia is available at hp.com.my.